What is supply-chain management? Organizations must master it in order to compete in the global retail market. Retail doesn’t start and stop at the front door of our stores. Ultimately, our value depends on our ability to broaden our influence while protecting every aspect of the business enterprise. What is supply-chain management? In essence, it’s a critical component of the retail machine. While we may view the heart of retail as the interactions and events that happen within the store, this support system fuels the way. Through a complex web of processes and activity, a well-managed supply chain is essential to a successful retail operation. Merchandise doesn’t magically appear on the shelves of our stores and into the hands of our customers. When we consider that every single piece of merchandise must in some way pass through the supply-chain network, it’s easy to see the need to implement appropriate controls and protect our interests as product moves through the supply chain. The loss prevention role within the supply-chain network has grown considerably in recent years and continues to grow even today. 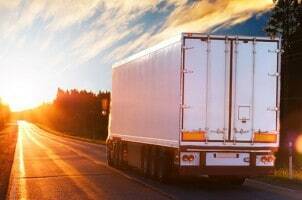 The advancements in technology, the evolution of e-commerce, and the mounting sophistication of retail crime—and specifically cargo theft—will continue to evolve our role throughout the supply-chain network. This must be seen as a critical element of our overall program, and not merely as a series of tasks that occur in a remote building or buildings outside of the public eye… Read the full article. Some tips on how to fortify your supply-chain security best practices. Thieves and fraudsters continue to invent new scams that threaten retail supply chains, even when organizations are following supply-chain security best practices. Security firm Check Point, for example, reported on a Spring 2017 discovery of malware, adnets, spyware and even ransomware that had been installed on at least 36 Android devices when they were still in the supply chain. The devices were from numerous manufacturers, including Samsung and LG. The worst malware discovery, a malicious virus known as Loki, is a suite of bad software is built from multiple components, each with its own functionality intended to damage files and programs. True, Check Point’s report could partly be construed as an indictment of Google’s Android operating system. However, the fact that some bad actors can install malware on devices somewhere in the supply chain would seem impossible. But it happened. So how does any company maximize their supply-chain security best practices?… Read the full article. What is customs? Understanding the process helps to expedite shipments and improve efficiencies along the supply chain. Having a general understanding of the customs process is a critical aspect of efficient supply-chain management. But what is customs? Customs is an authority or agency responsible for controlling the flow of goods into and out of a country. Depending on local legislation and regulations, the import or export of certain products may be restricted or forbidden, and the customs agency enforces these rules. Customs services are responsible for all imports into the country, collecting tariffs and preventing smuggling of illegal goods into and out of the country… Read the full article. 2017 ISCPO conference highlights the growth and sophistication in this critical facet of retail. Supply chain loss prevention has evolved significantly across the retail industry in recent years, a message that echoed loud and clear across the halls at the 2017 International Supply Chain Protection Organization (ISCPO) conference in Dallas, Texas last week. The advancements in retail technology and the ongoing growth of omni-channel retailing is changing the pulse and the pace of the supply chain network, a retail trend that will only continue to develop and unfold in the coming years. “This clearly must be reflected in the information presented and the speakers that participate in our conference,” adds Rod Fulenwider, executive director for D & L Protective Services, and chairman of ISCPO. “Businesses can’t afford to fall behind, and these trends must also be a primary driver in our supply chain loss prevention programs. As the retail industry becomes more sophisticated, we must respond in kind to support those needs.”… Read the full article. There is good news from the latest survey on data breaches. Last year, 19 percent of US retailers experienced a significant breach, down from 22 percent in 2015. The 19 percent figure is also well below the global average for retailers, according to the “2017 Thales Data Threat Report” by 451 Research released in June. Retailers are feeling more confident these days—but danger still lurks. One significant area of concern is contractors/supply-chain security issues. US retailers think these partners present a greater insider threat than ordinary retail employees, according to the survey… Read the full article.